In today’s economy, it’s a challenge to create wealth. Times have changed, and you must change with the times in order to create the wealth you want. The good news is, during the last depression, there were more millionaires created than at any other time in history. Right now you have the same opportunity. There are three primary principles you must understand in order to succeed. First you must master your mindset. What is mindset? Mindset is all about controlling your thoughts. Thinking like an entrepreneur is an absolute requirement in order to succeed. Most of us have been trained to think like an employee. Thoughts of an employee will keep you from creating the wealth that you want and desire. Second, you must know what your purpose in life is. Your purpose in life is your God-given gift that no one else but you can provide others. Even if your purpose in life is similar to someone else’s, it doesn’t matter. There is a set of customers waiting for what you have to offer that only you can deliver. Lastly, you must find a vehicle that expresses your purpose in life. Notice that your vehicle is the last thing on the list that you require in order to succeed. It’s important, but it is far less important than the first two elements. When I figured out the correct vehicle to use that expressed my purpose in life, everything changed. I went from being unemployed to being a millionaire in less than three years, and so can you. And best of all, you can do it in far less time than I did. I have many students who used the same methods you’re learning here and in the Wealth Without a Job System and became millionaires much faster than I did. If they can do it, so can you. Earn the Income You Want Doing the Work You Love! Are you dissatisfied with the work you do? Or do you believe that you can't make the kind of money you want doing work you love? Unless you're blessed with a trust fund to pay your bills, it's essential to devise a way for the work you love to provide an abundant income. This phenomenal system, Wealth Without a Job: Freedom and Security Beyond the 9 to 5 Lifestyle, provides you with that preparation. 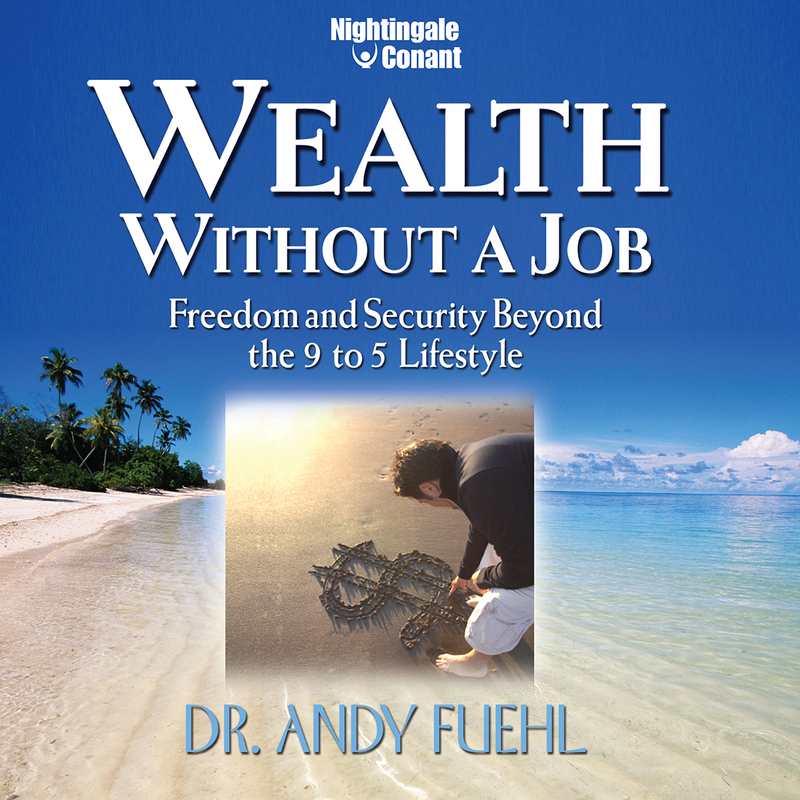 Best selling author, Andy Fuehl, was downsized and unemployed after devoting over 15 years to corporate America. Yet, he became a Millionaire in Less than THREE years as a result of using the accelerated subconscious reprogramming technology and specific strategies, behaviors, and beliefs of the ultra-wealthy that you'll be using in this system. How to determine your true purpose so that you choose a business that expresses your own values. How to minimize the emotions that hinder success in entrepreneurship and maximize the emotions proven to help you succeed. How to incorporate the three ingredients necessary for effective change - Awareness, Acceptance, Action - into your everyday life. The most powerful negotiating strategy ever used to produce win-win results. How to launch your own business even if you're currently employed or unemployed. How to make the transition from having a job to being a successful entrepreneur in the business of your choice. Do this, and you'll quickly find the happiness, freedom, income, and security that you've always been looking for but have never quite achieved. I want to earn the income I want doing the work I love! I want to take control of my life and start the business of my dreams. Wealth Without a Job at the special price below. — I can select one of two ways of ordering.